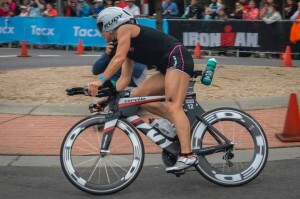 Home » Race Reports » Ironman Melbourne: G,B,U! Another Ironman means it is time for a race report. Instead of dulling you into a stupor with the play-by-play of race day, I will dazzle you with a quick recap of the good, the bad, and the ugly. The first “good” was the amazing on course support race day. It was so incredible to have so many friendly faces out there on race day, including my husband Eric, my coach Siri, my Cervelo support super stars, Lesley and Jason, Chris from Rudy Project and everyone else who was out there cheering all day. I know that I, for one, enjoy suffering so much more when there is such an amazing atmosphere, and Melbourne really delivered. The second good was the venue, which was an amazing urban race with a bit of everything. I loved the ocean swim and the run course was the most scenic and unique I have ever had the chance to do. While the bike course wasn’t my favorite, the women’s race was clean and the road was clear which made for a very safe and fair race. The third good was the volunteers and Ironman Asia Pacific support staff who made the trip and race go smoothly. Thanks so much to the volunteers for taking the time to help out and make the event a success. And to the organizers who took care of everything we needed before , during, and after the race. Final good was the coffee…. Seriously. No, really, it’s good. The coffee in Australia is amazing! I am in withdrawal now. I am blaming that as one of the contributors to my delayed blog. The first bad would have to be my mid-run chub-rub. This was a bit annoying but nothing that some aid station Vaseline couldn’t fix. You have to check out my Witsup interview here for more on that one. The first ugly was losing my “ghetto bento” (plastic baggie attached to bike stem with electrical tape, which Cervelo has been begging to replace for several years now) with all my race calories in the first 2km of the bike ride. This led me to have to rely on only my two bottles and whatever I could grab from the aid stations. While I couldn’t get quite as much fuel as I needed on the bike, I managed to get in as much as I could at the start of the run to curb the calorie deficit to make it to the finish. The second ugly was doing an Ironman in March. I would prefer to wait and race later in the year as kicking off the season with a big event this early is tricky. But thanks to my crash at the end of 2013, I was behind the Kona Qualifying Points eight ball and had to earn my way into the big dance. Luckily, I had a good enough finish to give me some breathing room for the rest of the year. There’s still work to do, but I feel relieved to be back in the game. The final ugly was how spoiled and lazy I have become. 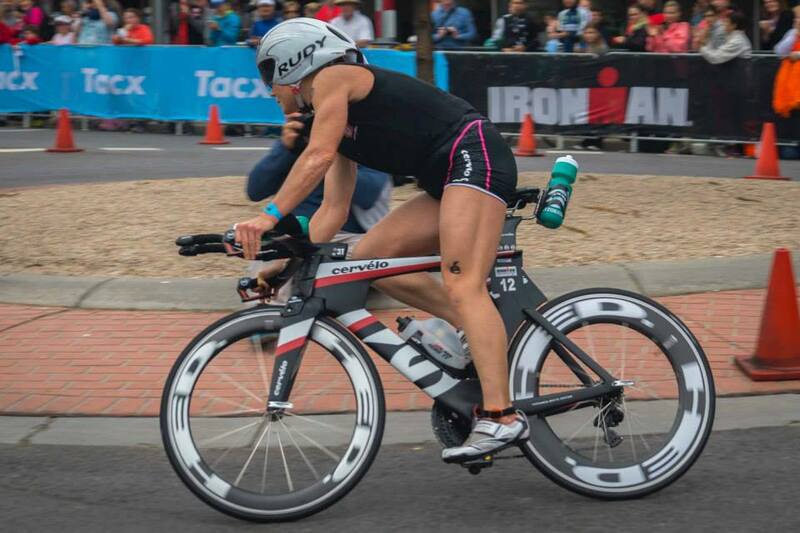 I was so spoiled race week as Cervelo took care of my bike’s every need even unpacking and packing it for me. Coach Siri and Eric equally spoiled me as they shuttled me from place to place as we got ready for the race. 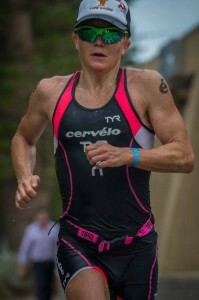 With all this spoiling, it took me 5 days to unpack and over a week to write a race report! Thanks for reading the Good, the Bad, and the Ugly! Wonderful race report, you got the result you needed and you are 100% in the game after a turbulent 5 months. I could not be happier for you! Also super to read about the amazing race week support you received from Eric, Siri, Cervelo and the volunteers, it all just sounds like a very professional set-up, the way athletes such as yourself simply deserve and the way the sport should grow. Well done, now get of your bud again and keep all of us and Keiki proud, the way only you can!